To read the Washington Post story, one would think that the debut of a far-flung network of job-listings sites was a disaster in the making. And perhaps it is, at least for the Washington Post and others trying to protect their business interests. But for job seekers and smaller employers seeking an efficient and effective recruitment method, the 40,000 new sites may be that rarity in today's world: an application of technology that delivers a public service instead of protecting profits for corporate interests. (Read consumer complaints about employment companies). The sites – all ending in .jobs – are being operated by the nonprofit DirectEmployers Association, which recently won the approval of ICANN, the Internet Corporation for Assigned Names and Numbers to run the 40,000 new sites – which have simple names like http://losangeles.jobs/ and http://usa.jobs/nurse/. The overall project is being called Dot Jobs for short. 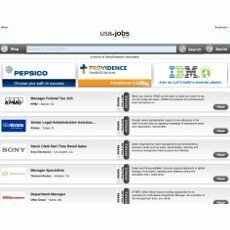 Job seekers can go to specific .jobs sites or start at the home page – http://usa.jobs/ – and navigate from there using the search box. Backers of the initiative include such industry giants as Google, IBM, American Express and Lockheed Martin. Besides newspapers, its detractors include Monster.com, CareerBuilder.com and other for-profit job-listings sites that only a decade or so ago were celebrating their ouster of newspaper classifieds as the primary job-search mechanism. Direct connection to hundreds of thousands of jobs from companies like IBM, Conoco Philips, Newell Rubbermaid, AT&T and hundreds of other large and small organizations. Direct connection to federal, state and local government agencies, educational institutions and non-profit organizations jobs are available. New jobs are added daily with special emphasis on veterans and military, people with disabilities, diversity, green jobs and many others. Share and Follow tabs make it a seamless and intuitive way to utilize social networking within your job search on The .jobs Universe. Many unique personalization tools offer an enhanced experience for all visitors. DirectEmployers is not a newcomer to the job-recruitment field. It has been in existence since October 2001, working primarily with more than 500 larger firms who pay dues of $15,000 per year. Dues-paying members will enjoy some perks on the new sites – including more prominent listings – but the site is open to all businesses, nonprofits and government agencies. Corporate recruiters say the average cost of filling a job on Monster and CareerBuilder is about $400, a pricey proposition for companies that are still hesitant to commit the time and money required to recruit and train new employees in a still-shaky economy. As a result, many jobs go unposted. On smaller, cheaper job sites many listings are for jobs that have already been filled. The .JOBS Universe is led by Bill Warren, Executive Director of DirectEmployers Association, a former President of the Monster.com job board who is widely regarded as the founder of online recruiting. Approximately 40,000 of the .JOBS domains, including 126 international locations, will be functioning by the end of January with tens of thousands more planned by the end of the year, DirectEmployers said. Benefits job seekers will find include intuitive web site entry points, verified job listings and the ability to connect directly with employers. "I'm excited about the .JOBS Universe because it's going to revolutionize the way someone will look for a job. Right now the process is very difficult. It takes so much time and there's so much duplication of effort. With .JOBS, candidates will be able to go to one, intuitive location and know that the opportunities listed are straight from employers," says Randy Goldberg, Vice President Recruiting, Hyatt North America Operations. Job listings in the .JOBS Universe are integrated with social media such as Facebook, LinkedIn, Twitter, YouTube and others. Job seekers can build their own profile and identify which of their friends or connections are working at a particular company of interest. They can also find and follow companies and recruiters on the various social networks and share job listings with their friends on social news sites. The .JOBS Universe platform has also been optimized for easy access on mobile browsers. Its “open source” approach allows industry vendors to develop apps that will result in even greater efficiencies in the future. “Building out the .JOBS TLD, owned and managed by employers through a non-profit association, is revolutionary for the Internet and a gigantic step for both employers and job seekers. It provides employers low-cost advertising and branding opportunities while reducing recruiting costs. It also provides job seekers a direct connection to employers and a trusted, reliable source on the Internet to locate employment opportunities,” Warren said. Finding a Job: Who's Better Than You?